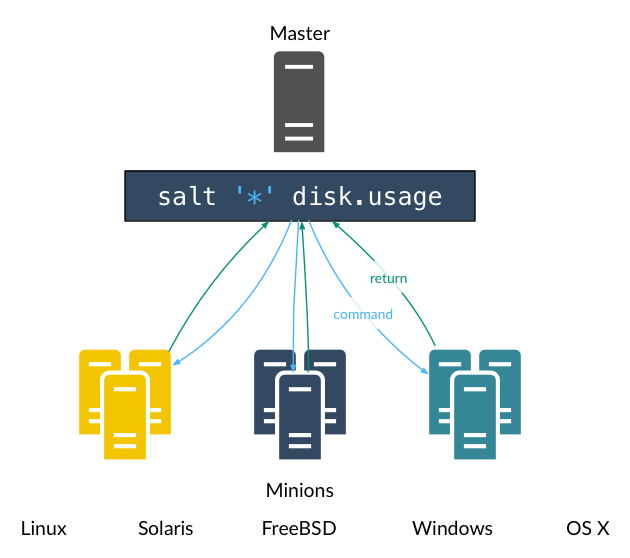 These Get Started tutorials walk you through the basics of getting SaltStack up and running. 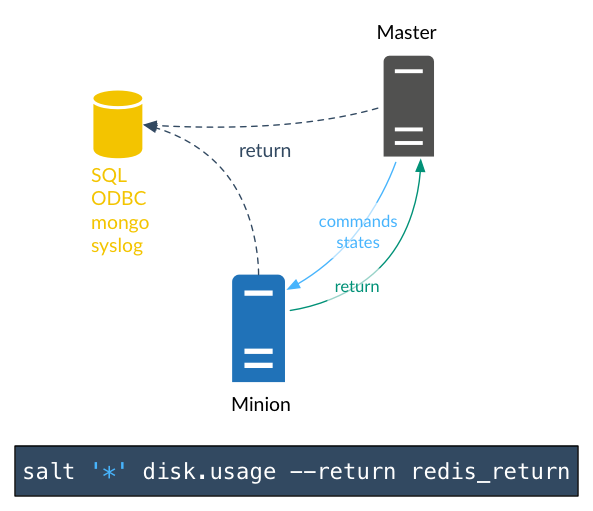 You’ll get a better test introduction to these components in the tutorial, but it is helpful to a general idea of the role each component plays in SaltStack. 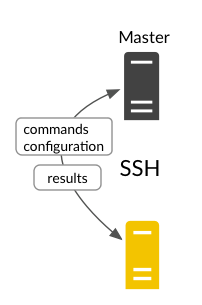 This system is used to send commands and configurations to the Salt minion that is running on managed systems. Managed system. 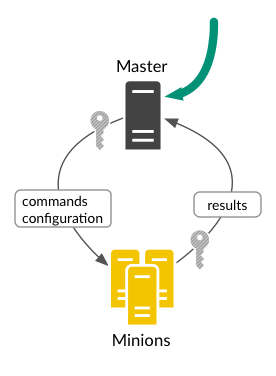 This system runs the Salt minion which receives commands and configuration from the Salt master. 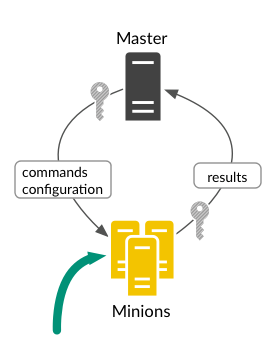 A declarative or imperative representation of a system configuration. System variables. Grains are static information about the underlying managed system and include operating system, memory, and many other system properties. You can also define custom grains for any system. 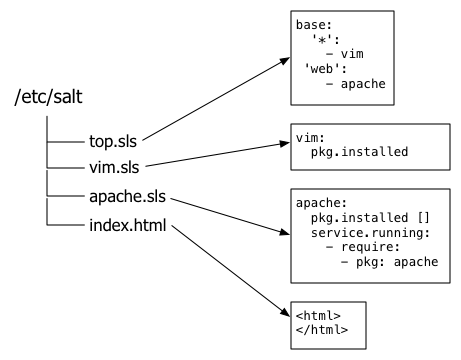 User-defined variables. These secure variables are defined and stored on the Salt Master and then ‘assigned’ to one or more minions using targets. 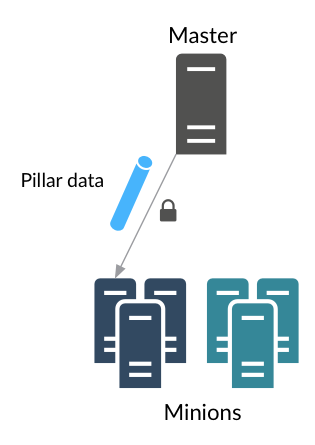 Salt pillar data stores values such as ports, file paths, configuration parameters, and passwords. Matches formulas and Salt pillar data to Salt minions. 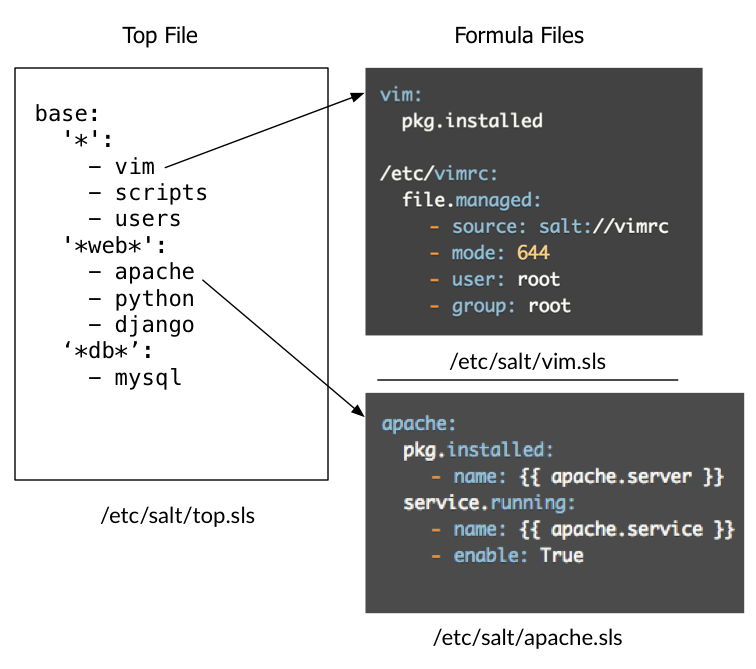 Modules that execute on the Salt master to perform supporting tasks. Salt runners report job status, connection status, read data from external APIs, query connected Salt minions, and more. 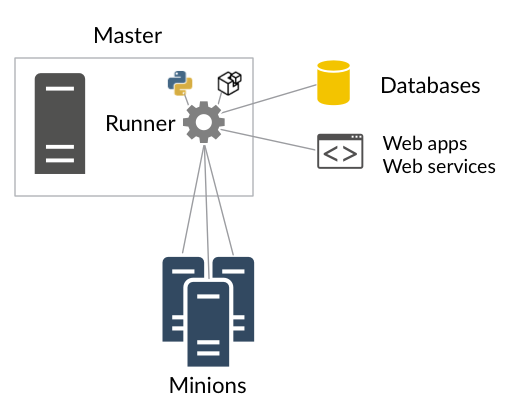 For example, the Orchestrate runner coordinates configuration deployments across many systems. Send data returned by Salt minions to another system, such as a database. Salt returners can run on the Salt minion or on the Salt master. 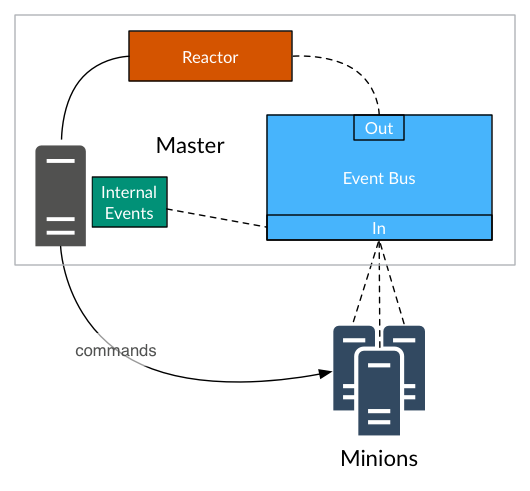 Trigger reactions when events occur in your SaltStack environment. 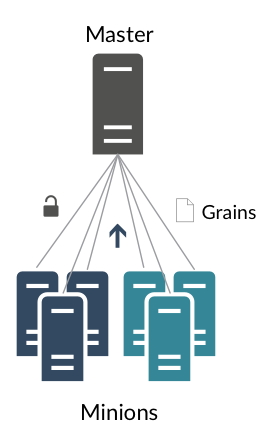 Provision systems on cloud providers / hypervisors and immediately bring them under management. Run Salt commands over SSH on systems that do not have a Salt minion.